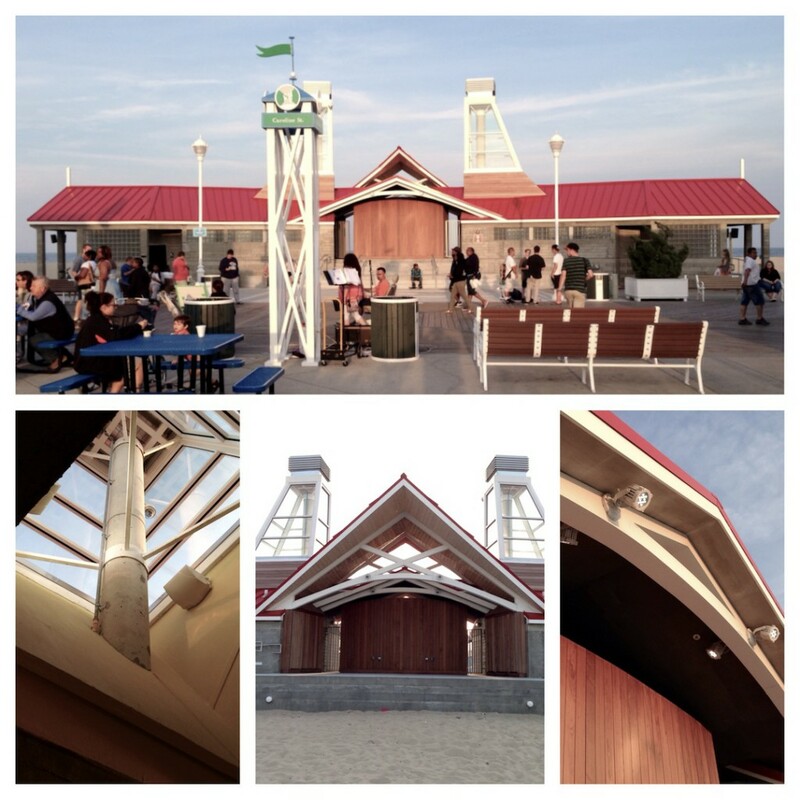 The Ocean City Performing Arts Stage and Comfort Station, is located on the Boardwalk at Caroline Street, replacing the old underground bathrooms with state-of-the-art restroom facilities and a stage for performances and concerts. The he head architect was David Quillin, who is LEED (Leadership in Energy and Environmental Design Building Design and Construction accredited. He strives to incorporate green and environmentally friendly architecture and design into each of his projects. The arts stage and comfort station building uses cutting edge technology and construction techniques to reduce the need for electricity for lighting and heating and reduce the amount of water needed for the restrooms. It includes the use of sustainable materials in the construction process to cut down on current and future waste. At night, the chimneys will light up and announce upcoming shows and performances in Ocean City. The chimneys, one on either side of the stage and directly above the men’s and women’s restrooms, will also help ventilate and de-humidify the restrooms without the need for mechanical input. The solar chimneys are glazed at the top, which causes the top portion of the structure to warm. 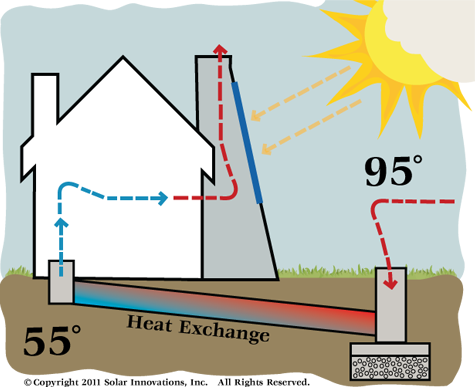 As the chimney warms from solar input, the air inside warms too, which will cause it rise through the chimney and out the vents at the top. 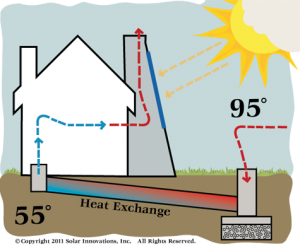 As the warm air leaves the chimney, it creates a negative pressure area within the top of the chimney, which then draws up colder air from the bathroom below. The restrooms are fitted with pipes that run 3 feet below the Boardwalk to a remote intake, which will help to draw in air from outside. Because the air runs below ground before making its way into the bathrooms, it will be cooled and therefore will lose some of its humidity before it finally enters the restrooms. The whole process is aided by what is called the “Venturi effect.” Normally associated with fluids and fluid pressure, this effect is caused by the difference in wind speeds between the top of the chimneys, which are 30 feet in the air, and the remote intake areas, which are at ground level. This will help sustain the air movement between the intakes, bathrooms and chimneys, keeping the new restrooms cool and less humid than the outside without the use of mechanical aids. The building was also constructed with durability in mind. The main building material is concrete, sourced locally, and treated in a variety of ways.